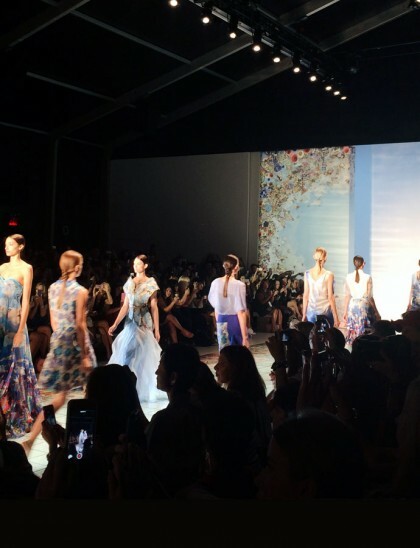 Thanks to my friend Nana who runs the Lie SangBong shop in Meatpacking District, I’ve been lucky to go see their shows at New York Fashion Week. I’ve been working on a little side project with the fashion brand Lie SangBong’s NY shop. For the last couple of months, we’ve been holding tea events where shoppers can get introduced to new tea companies. It’s that time again! 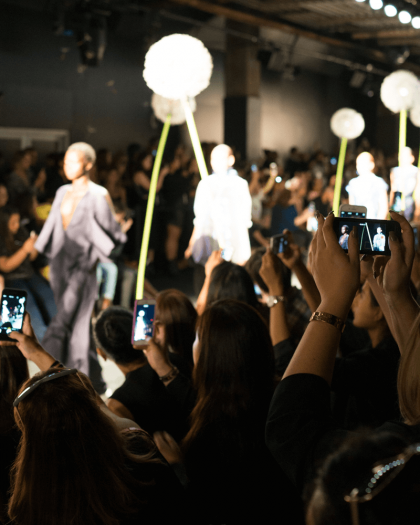 Everyone in fashion flocks to Lincoln Center for Merceds-Benz Fashion Week. I was lucky enough to attend the Lie Sangbong show this season and loved every minute of it. 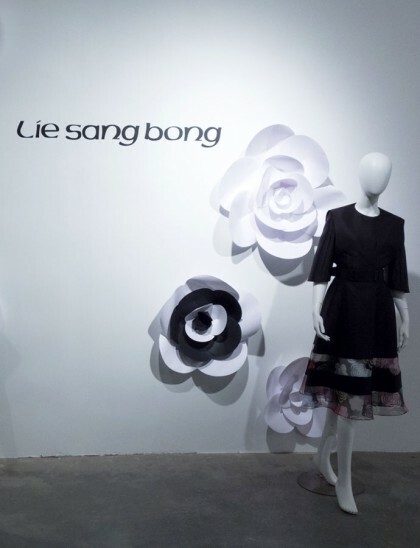 After showing at Paris Fashion Week for 12 years, my favorite Korean fashion designer, Lie Sang Bong, debuted his new collection at New York Fashion Week last Wednesday at Lincoln Center. 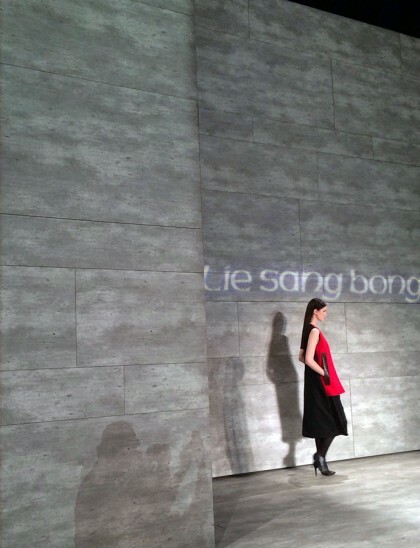 So, remember when I went to Lie Sang Bong’s Paris Fashion Week show? Well, that same Spring/Summer 2014 collection was shown at a press preview party last week in a huge gallery space in Chelsea. On the day I arrived, I checked into my hotel, took a quick nap, and got ready to head out to Lie Sang Bong’s Paris Fashion Week show. 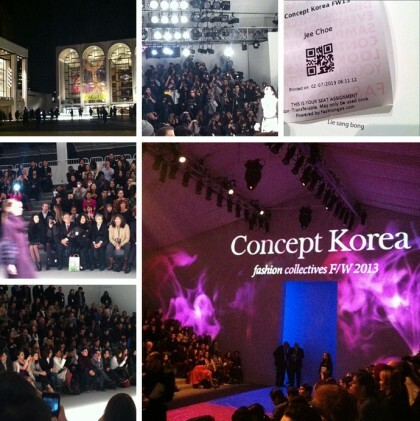 Last week, thanks to my friend Nana, I got an invite to Concept Korea’s Fashion Collective F/W 2013 at the Mercedes-Benz Fashion Week. 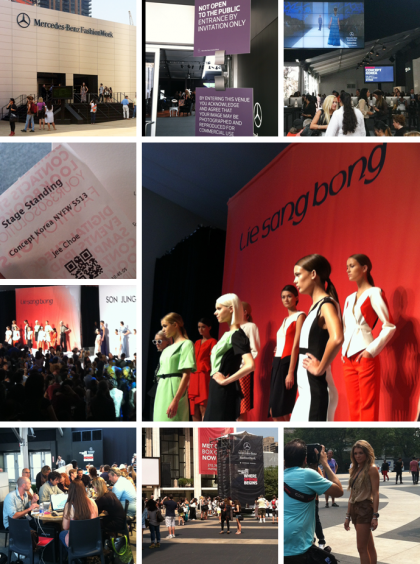 Thanks to my friend Nana, who works PR for Lie Sang Bong, a Korean fashion designer, I was lucky enough to attend New York Fashion Week this past Friday.